Bournemouth and Poole College has been a fantastic training provider for many apprentices in the area. It was great to see so many apprenticeship providers supporting BPC at the careers event last night. It was fantastic to see so many Apprentice Mean Business Sponsors and Ambassadors at the QE School careers event. Looking forward to seeing the next intake of apprentices in 2017! There was a great turn out for the Your Future – Your Choice event last week. Young people from Bournemouth and Poole were able to ‘drop in’ and seek advice from schools, Universities and employers. Apprenticeships were well represented by Superior Seals, JP Morgan, Ultra Electronics and Bournemouth and Poole Councils. Keep an eye out for the next one! Following the success of Apprentices Mean Business representation at the first launch of a Dorset Young Enterprise event we were invited back again! On the 14th and 20th January Apprentices Mean Business Ambassadors spoke again sharing their experiences as Apprentices. Ashlie Kitching and Jake McKenna from JP Morgan spoke to local students about why it’s so great to be an apprentice. The Young Enterprise scheme focusses on teaching students true business skills and they’ll be mentored by local business men and women over nine training sessions. Q and A at Avonbourne College! 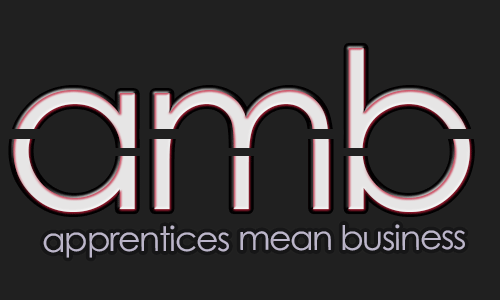 Today two ambassadors took apprenticeship questions from year eleven students at Avonbourne College. Ellie Fermor from Bournemouth and Poole College and Matt Collom from JP Morgan helped uncover all the myths by joining a school lesson all about “Post 16 Options”. Having direct access to real apprentices with real experiences, the students could really understand what an apprenticeship is all about. Today four ambassadors presented their apprenticeship experiences to students of Parkstone Grammar School, Poole. Matt Collom and Ashlie Kitching from JP Morgan and Joe Key and Ben Lane from Ultra Electronics gave students a different view to think about. This was an important event to highlight alternative career paths for sixth form students demonstrating that it is possible to gain degree level qualifications through an apprenticeship, with the added benefit of real life working experience and getting paid!